2017 Mandela Washington Fellows enjoy a dinner and reception with community members. The University of Wisconsin-Madison is among 38 universities selected as hosts for the six-week Mandela Washington Fellowship. 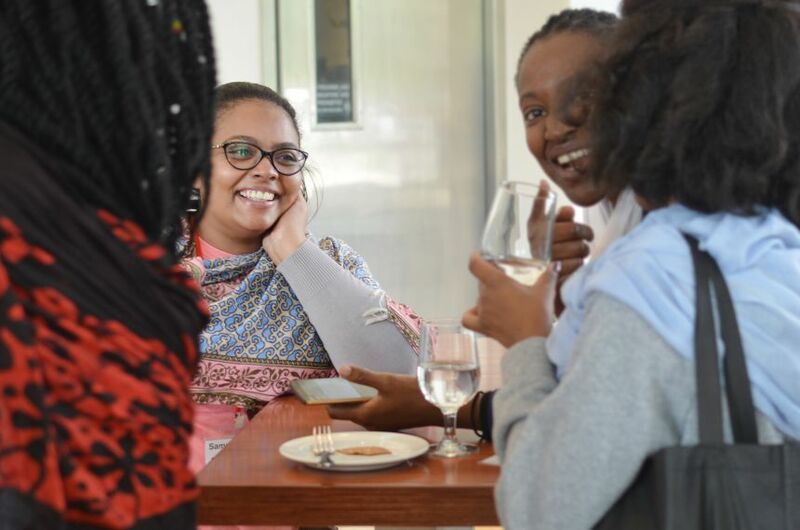 The Mandela Washington Fellowship (MWF) brings 700 leaders from sub-Saharan Africa to US universities for academic discussion, leadership training, and community engagement. In addition to participating in professional and academic sessions, we would like Fellows to engage with the Madison community and its members. As part of this effort, we are looking for volunteers to host 1-2 Fellows for Sunday evening dinners during their time in Madison. We are eager to introduce Fellows to a variety of American households, so hosts of all genders, races, ethnicities, marital statuses, sexual orientations and living arrangements are encouraged to participate. If interested, please use this survey to indicate your hosting availability and we will follow up to confirm participation. Look for a full listing of Fellow biographies in early June, to be posted here. This was originally posted at africa.wisc.edu on May 7, 2018.